No country has suffered the effects of 20th-century anti-Christian ideologies more than Poland. After more than a century of division, Poland regained its sovereignty in 1918, after World War I. That sovereignty did not last long. In 1939, as predicted and signaled by Our Lady at Fatima, a new and worse war began in earnest with the invasion of Poland by the Nazis. During the Nazi occupation, Poland was subjected to some of the worst ravages of the war and was home to the Nazi death camps. Upwards of six million Poles perished during the War. But the end of the War would provide no respite for the Polish people. Nazi Occupation was replaced with Soviet occupation and repression that would last another 45 years. Yet, in contrast to the spirit of this terrible age, the Polish people did not look upon their immense suffering during this period as useless. They did not despair and curse God for their fate. 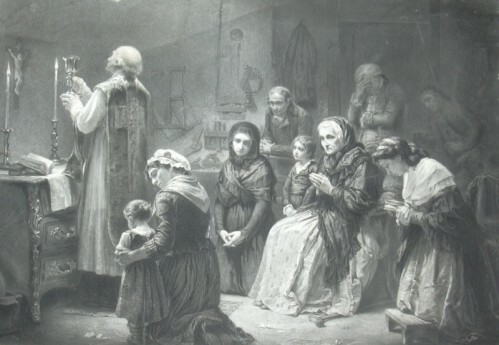 Instead, the Polish people looked upon themselves as a people chosen by God, chosen to suffer as their Savior suffered. In post-war Western Europe, faith was rejected in favor of prosperity and a false "liberty." But while those in Western Europe gave up their faith with barely a thought, the atheist communists tried to beat it out of the Poles. But precisely because of their suffering, the Poles tenaciously clung to their faith. In 1979, Pope St. John Paul II traveled to communist Poland and gave a speech to a million Poles in Krakow. 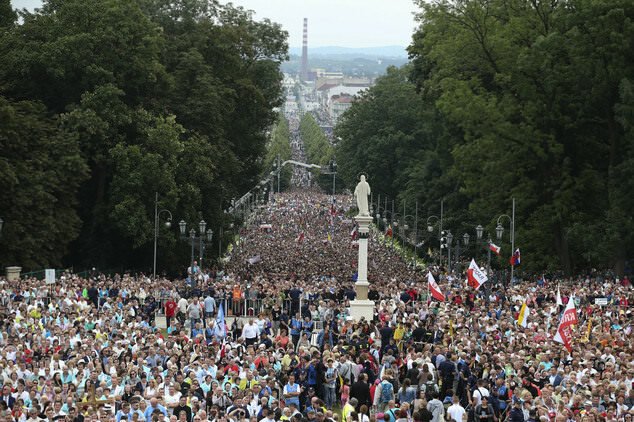 After decades of suffering the people of Poland had one message, one thought, expressed in a chant that rose up in the square, a chant that went on for 15 minutes. "We want God! We want God!" Continued Communist oppression didn't have a chance. It was just prior to the Nazi and Soviet scourges under which Poland would suffer so much, that Our Lord revealed something about the future of Poland to St. Faustina. Recorded in her diary, Our Lord told St. Faustina the following: "I bear a special love for Poland, and if she will be obedient to My will, I will exalt her in might and holiness. From her will come forth the spark that will prepare the world for My final coming" (Diary, 1732). Because of his charisma and a not a small dose of budding papal positivism, many people over the last 40 years have interpreted Our Lord's prophecy to St. Faustina as referring to Pope St. John Paul II. I do not think that is the case. In fact, I don't think that this prophecy refers to a person at all, I think it refers to the faith of Poland. Poland's faith is the spark which might help prepare the world for the final coming of the Lord. In order to understand this properly, one must understand a bit more about those elements that must occur before the final coming of the Lord. Among these are the preaching of the Gospel in the whole world, the great apostasy, the persecution of Antichrist, and the acceptance of Jesus by the Jewish people. First on this list is the preaching of the Gospel in the whole world. While some may speculate that this has already occurred, that is demonstrably untrue. 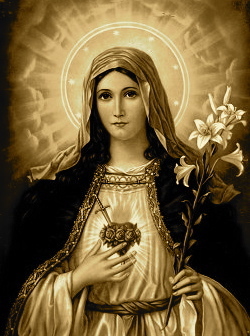 In fact, I firmly believe that this will occur during the Triumph of the Immaculate Heart and the period of peace promised by Our Lady at Fatima. In the diary of Sr. Lucia, she records the difficulties that she had in writing down the secrets. She records that she was granted a vision of a terrible chastisement of the world. But after the vision, Sr. Lucia was comforted: "After I felt my racing heart, in my spirit a soft voice said: ‘In time, one faith, one baptism, one Church, Holy, Catholic, Apostolic. In eternity, Heaven!’ "
It is during this promised period of peace in which the Gospel will be preached in the world resulting in one faith, one baptism, one Church, Holy, Catholic, Apostolic. This is what will prepare the world for the final coming of the Lord. 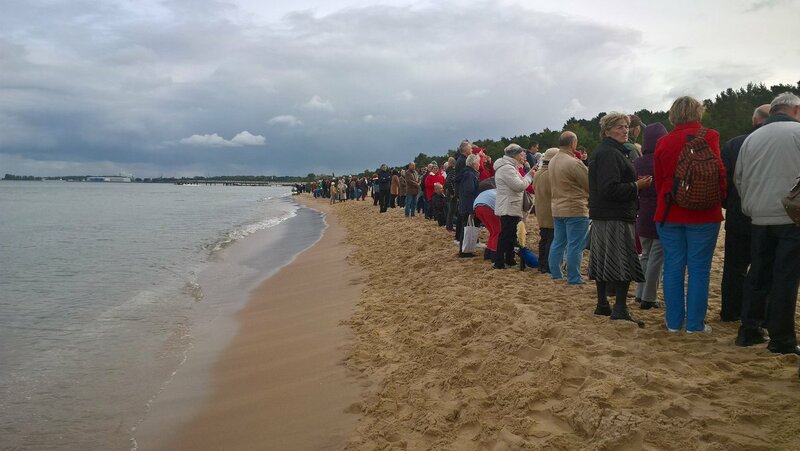 While the fire of faith sputters into blackness across the world and in the Church, it is in Poland that the spark remains. And it is precisely because Poland has remained obedient to the will of God that this spark remains, the spark that may when God wills it, be fanned back into a fire that will prepare the world for the final coming of the Lord. Within a single week, we experienced two great shocks, but I am unsure which one was greater. The first, of course, was the stunning defeat of the virulently anti-Christian presidential candidate (there is no other way to put it). Hillary’s stunning loss to Donald Trump gave many Christians an unexpected sigh of relief. It isn’t necessarily that they have great faith in Trump, although some do, but that they stepped back from the brink of the abyss that would have been Hillary’s term. But as my jaw was still smarting from hitting the floor and the air from my long gasp of relief still escaping my lungs, I woke up one morning to a greater surprise. Four Cardinals had sent a letter to the Pope asking him to clear up the purposeful confusion of Amoris Laetitia. For Fatima watchers, 2017 is already shaping up to be a year to watch. 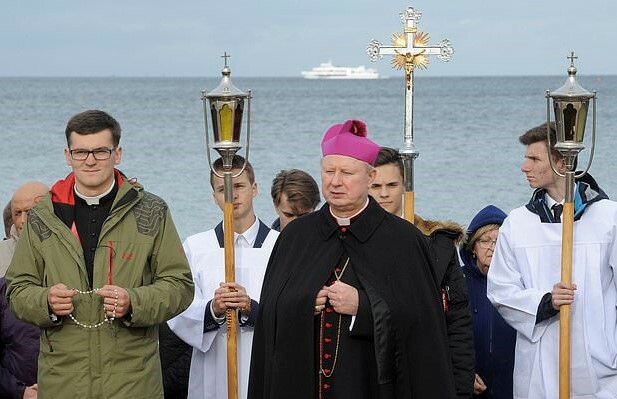 Chaos and crisis have enveloped the Church. The faith and the faithful seem to be under perpetual attack, both from inside and outside the Church. 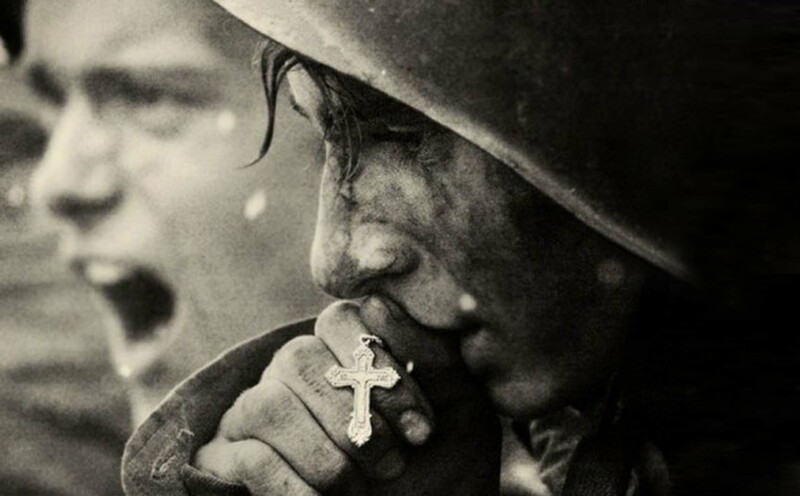 Russia, God's chosen instrument of chastisement is on the move and internet news searches for "war with Russia" return more articles than one can read. World politics is in turmoil as evidenced by the Brexit vote and Trump's victory. All this as we enter the 100th year of Our Lady's appearance, requests, and warnings at Fatima, Portugal in 1917. As humans, we are naturally prone to give significance to anniversaries and we love round numbers. So it is entirely human and natural to wonder if, on the 100th anniversary of the most stunning apparition and miracle, that testified to dire warnings, that perhaps, just perhaps God has something great and terrible in store for us this year. The rumor mill has been in overdrive recently that the next big topic of interest for the Pope and the possible topic of the next Synod will be married priests. If you spend even a few moments online among Catholics, you will come across the pejorative “Rad Trad” or radical traditionalist. This is an exclusive club I somehow got inducted into and yet I don’t remember filling out the application. And man, the dues… the dues are steep. As most of us know, “Rad Trad” is meant as an insult, a way of separating Catholics and, let’s be honest, smearing a group of good Catholics who attempt to practice their faith in a way similar to how Catholics have always practiced it. They label them as judgmental, holier-than-thou, Pelagian, Promethean, haters of mercy and all the proof required is some comment by some guy in some com box somewhere that was over-the-top and rude. So, you are just like that guy. Just ‘cause. For a 100-year-old apparition of the Virgin Mary that we were assured was exclusively a 20th century history lesson, it sure has been in the news lately. To catch up – first, we had Alice Von Hildebrand’s recollections at OnePeterFive about the Third Secret of Fatima having to do with an apostasy that would begin at the top. A week later we had the confirmation of the decade-old assertion by Fr. Ingo Dollinger—a personal friend of Cardinal Ratzinger/Pope Benedict XVI—that subsequent to the latter’s description of the Third Secret as regarding a crisis of faith, a bad council, and a bad Mass (and the vastly different account of it out of the Vatican in the year 2000), the then-Cardinal Ratzinger has claimed that there was indeed more to the secret than what was published. These are tumultuous times, both inside and outside the Church, no doubt about it. It is unsurprising therefore that among some of the faithful there is a growing interest in the end times and Catholic prophecy. Spend just a few minutes on Catholic social media and you will see faithful who run the gamut from viewing today’s events as humdrum growing pains in the age of the Church, to those who seem convinced that the Parousia is just around the corner. Further, you will see well-meaning faithful getting caught up in messages of some modern-day apparition of a self-proclaimed messenger of God. 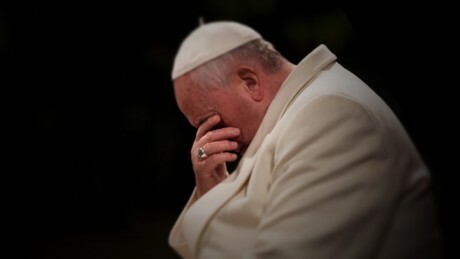 Some Catholics, realizing the problems to which an uncritical approach to prophecy can easily lead, reject all or most prophecy rather than risk going down that particular rabbit-hole. Now that Amoris Laetitia, the long awaited post-synodal Apostolic Exhortation has been released, the real debate is over. Don’t misunderstand me, the document itself, as it is digested over the next weeks, will certainly undergo much-needed debate about particular passages. Obviously, there are several key paragraphs that raise immediate concern and these can and should be debated. Yet, I think that much of that debate will be hampered because of the working assumption that goes into such debates, a key assumption that papal positivists, many conservative Catholics, and the revolutionaries are counting upon. That assumption upon which the groundwork of the revolution is laid is that the words on the page actually mean things and, conversely, don’t mean other things.